Hawking is the extraordinary story of the planet’s most famous living scientist, told for the first time in his own words and by those closest to him. Made with unique access to Hawking’s private life, this is an intimate and moving journey into Stephen’s world, both past and present. 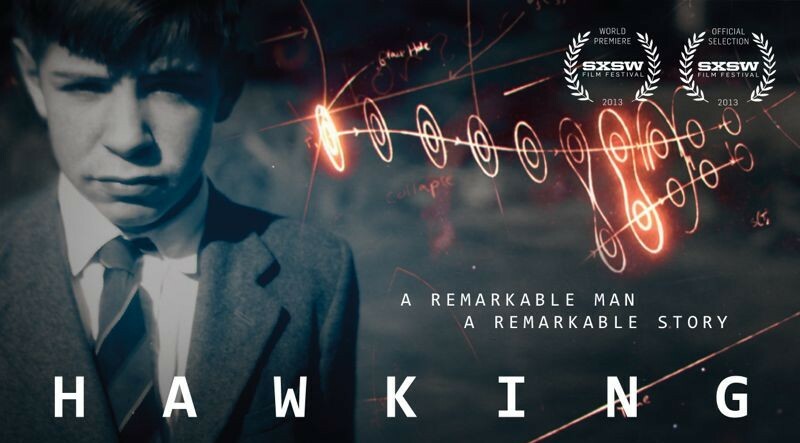 Hawking relates his incredible personal journey from boyhood underachiever, to Ph.D. genius, to being diagnosed with ALS (or Lou Gehrig’s disease) and given just two years to live. 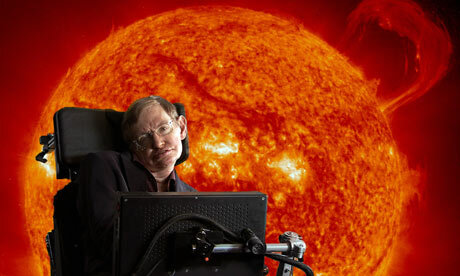 Despite the constant threat of death, Hawking makes amazing scientific discoveries and rises to fame and superstardom. 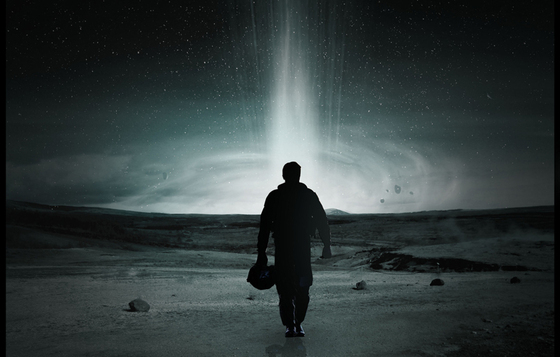 While there is little left about him that has not been written about, the winning approach of this film was that it allowed the movie to be told in Mr. Hawking’s own voice, at least his computer-generated one. “Welcome to my world,” he says. In an early sequence from the film, interaction design engineers from Intel huddle with Mr. Hawking to give him a faster means of communicating (based on facial tics, mostly). He tells us about his childhood and his Oxford student days, when his illness was diagnosed; about his first marriage; about his students; about his science. We see him in daily tasks like eating, assisted by caretakers patiently lifting food to his misshapen, passive face. Among several interesting vignettes from the film about his life are a few of the following. Stephen Hawking tells the Royal College of Surgeons about his near-death experience following pneumonia. 2. 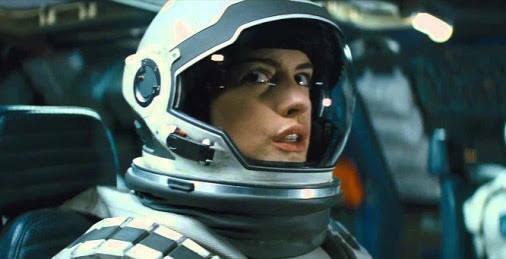 “We should seek the greatest value of our action.” “There is no heaven; it’s a fairy story. I think the conventional afterlife is a fairy tale for people afraid of the dark.” He rejected the notion of life beyond death and emphasized the need to fulfill our potential on Earth by making good use of our lives. He says there was nothing beyond the moment when the brain flickers for the final time.”I regard the brain as a computer which will stop working when its components fail. There is no heaven or afterlife for broken down computers; that is a fairy story for people afraid of the dark“. 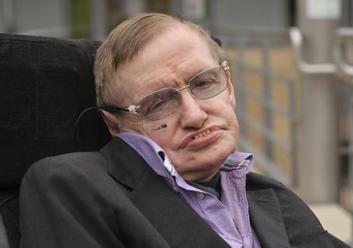 Hawking’s comments go beyond those laid out in his 2010 book, The Grand Design, in which he asserted that there is no need for a creator to explain the existence of the universe. The book provoked a backlash from some religious leaders, including the chief rabbi, Lord Sacks, who accused Hawking of committing an “elementary fallacy” of logic. The physicist’s remarks draw a stark line between the use of God as a metaphor and the belief in an omniscient creator whose hands guide the workings of the cosmos. 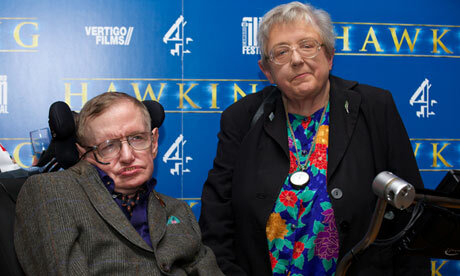 Theoretical physicist Stephen Hawking with his sister Mary at the premiere of the documentary Hawking in Cambridge. 4. 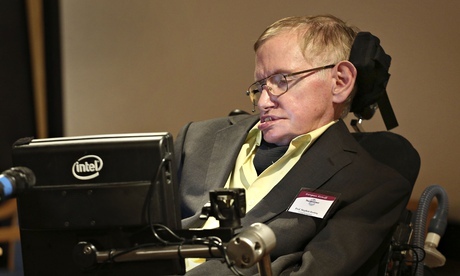 “All my life I have lived with the threat of an early death, so I hate wasting time.” The incurable illness was expected to kill Hawking within a few years of its symptoms arising, an outlook that turned the young scientist to Wagner, but ultimately led him to enjoy life more, he has said, despite the cloud hanging over his future. The 71-year-old physicist also backs the right for the terminally ill to end their lives as long as safeguards were in place, was diagnosed with motor neurone disease at the age of 21 and given two to three years to live.